HELLZ YEA! : My moms was a big Luther Vandross fan, but she played pretty much everything. Music wasn't really a big thing in my house. I was more introduced to the music I'm influenced by when I went to family cookouts and gatherings. That's where I would hear Curtis Mayfield, Barry White, The Isley Brothers, The Manhattans, etc. Since as a producer I sample a lot, those artist really influence my productions. VALIDATED: Name a couple of the hip-hop artists and producers that influence the music you create. What, if anything did you borrow from them? HELLZ YEA! : As a producer I'm a big Dr. Dre head. His drums is what I really get from him. You can tell he takes time to sculp them and I am the same way. As a emcee my style is pattern after Jay-Z and Scarface. From Jay being a Brooklyn emcee, we have a peculiar way of delivering our message. We can say the same thing a 100 different ways, most people called it wordplay or wittiness. From Scarface its his vocal presence. My voice can command attention whether its on record or live. HELLZ YEA! : Honestly as young as I was I didn't really get introduced to hip-hop culture live and up close. I got it through movies like "Krush Groove" and "Wild Style". My first hip-hop record I heard was "Sucker MC's" by Run-DMC. When Run said his first 8 bars and the feeling it gave me, I said to myself I want to make people feel like this! VALIDATED: What are your thoughts on lyrics with substance remerging as the focus in hip-hop again? HELLZ YEA! : It's time! It's been long overdue. People are tired of partying, they want more songs that speak for them not down on them. A lot of these artist are just rapping (or whatever they call it) for each other. They're not thinking about the listener. Hip-Hop is supposed to be the voice for the voiceless. As a hip-hop artist you are supposed to take the struggles of the people and give them hope. I think we are getting back to that. VALIDATED: What can fans expect from your latest project, "The Essence"? HELLZ YEA! : "The Essence" is 19 tracks of pure unadulterated hip-hop. I honestly think its a classic album. 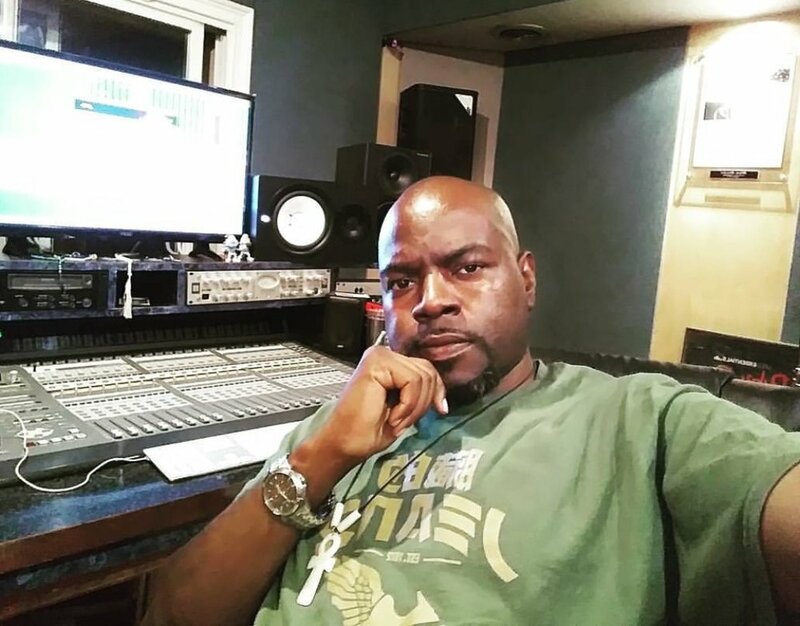 I am working on 2 more albums "Last Night at the Dojo" which will be totally produced by The Rebellion producer Ced Wynez and "The Essence 2" which will be produced by DJ Mousetrap who is also a part of The Rebellion production team. VALIDATED: What other producers and artists did you work with on this project, if any? HELLZ YEA! : I have my own production team who I just mention which is called "The Rebellion". I also have my own record label called "One Dynasty Entertainment", which I have artist signed who are currently in development. VALIDATED: What type of equipment do you use? HELLZ YEA! : I'm a software head. My main DAW is PreSonous Studio One. But I use whatever is available. I spent a lot of hours teaching myself various programs and hardware so I'm ready to work on whatever when needed. VALIDATED: Who are your top 3 producers that rap, past or present? Why? HELLZ YEA! : First gotta go with Dr. Dre mainly because he inspired a whole coast to what it is today. Then you have Kanye, dude produced hits for everybody and was still able to turn around and create numerous hits for himself. Last but not least I'm gonna go with myself lol, sometimes you gotta toot your own horn. But seriously at the level that I can do both with no help is pretty amazing to me. I don't have any writers or ghost producers. I'm really a beast with it! VALIDATED: What advice would you give to upcoming producers and artists? HELLZ YEA! : Never stop working! Never stop developing, you never know enough! VALIDATED: What upcoming projects can we expect in 2018? HELLZ YEA! : Definitely, going to drop "Last Night at Dojo" and "The Essence 2". It's going to be tough with everything on my plate but I'm sure these 2 projects will both drop by the end of the year. VALIDATED: As a emcee, at what point did you decide to try your hand at producing? HELLZ YEA! : When I was working with Dr. Period. I used to watch him make beats then when he'd walk out the room I would hit the mp pads. It really is just an extension of my artistry but I ended up getting really good at it. VALIDATED: As a producer, what advantages if any do you feel you gained by starting off as a emcee? HELLZ YEA! : I know what artist want to hear in beats. When I'm making beats I'm not necessarily thinking about a particular artist, I'm just creating. But I know what sounds artist like hearing, I know when drops should happen and things of that nature. HELLZ YEA! : Man I can't be giving away all the movements. Lol Nah I am extending my creativity and business sense in other areas. I just don't want to spill anything just yet until its all setup and ready to go.